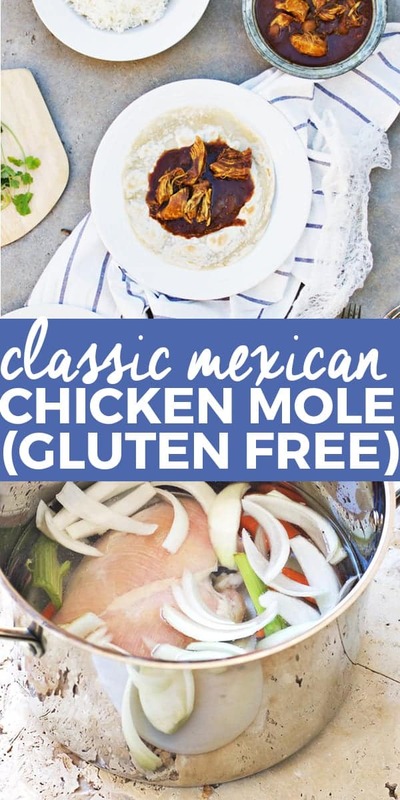 Holy mole, is this classic Mexican chicken mole good! And it’s gluten free! This is a family recipe on my husband’s side, and I am proud to continue the tradition. It’s all about the mole paste and cocoa. In the past, I made the mistake of not checking the ingredients in my mole paste, which is generally made with crackers. NOT gluten free. However, I found this all natural mole paste and it’s good. It’s also vegan, if you want to make a plant-based mole! Use a high quality cocoa like this one from Guittard. You can buy it on Amazon here. Or you can use cacao powder, which is full of magnesium and antioxidants to support thyroid and immunity. You also need a heavy bottomed pot or pan for best results! 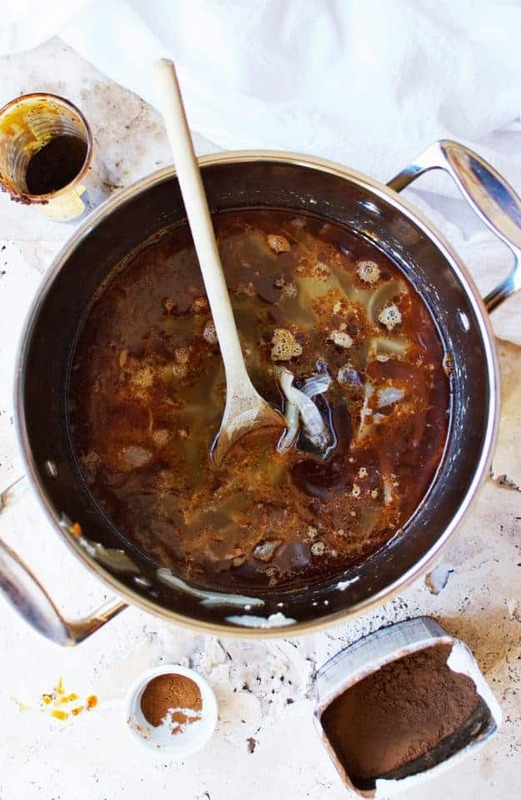 To get a super smooth mole, strain the broth in a sieve before adding other ingredients. This is one of those recipes that requires patience, and truly cultivating an EXPERIENCE in the kitchen. This recipe belongs to my husband’s grandma, on his Dad’s side (they are Mexican). 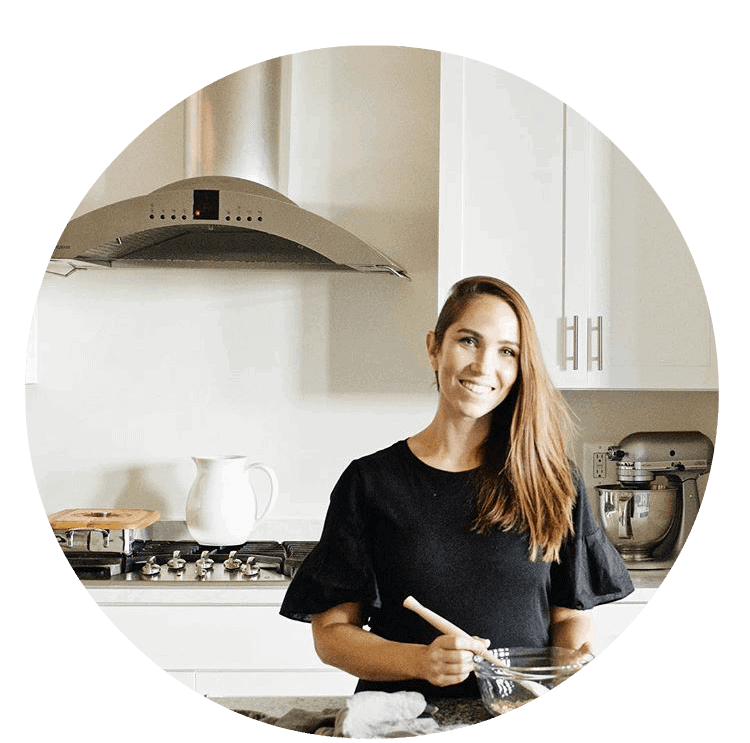 She used to make it for my father-in-law, and passed it down to his wife (my mother-in-law… are you following? Ha!). Isn’t that the amazing part of sharing food? I love the memories recipes hold, and how they are family heirlooms. But that they can be passed on to anyone! And now we get to share them with our family, and I hope my daughter-in-laws will do the same! Needless to say, Coco (no pun intended… or is it?!) is one of our favorite movies at the Rodriguez casa because of the importance and family. And food is the best way to bring family together. This mole holds a deep, rich, cocoa flavor—definitely a dinner entree for the chocolate lover! It’s the perfect dish for a large dinner party, or a fun cooking night at home where you learn a new dish that will certainly become a favorite. Grab the recipe below and enjoy! 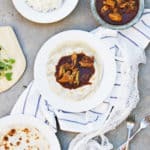 This is a tried and true classic Mexican chicken mole recipe. Make it for a hearty and decadent meal to be enjoyed with family and friends. In a large stockpot, bring the water to a boil. Add in the chicken breasts, onion, celery, carrots, garlic and salt. 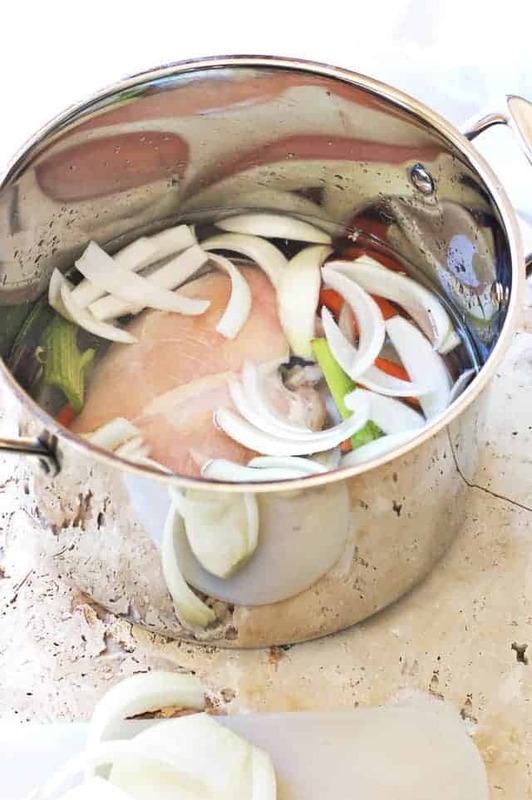 Boil the chicken for 45 to 60 minutes until tender and falling apart. Remove the chicken, celery and carrots. Once the chicken cools, shred it into large pieces. Add the mole paste, sugar, cocoa powder and cinnamon to the broth. Simmer over medium heat, whisking constantly until the paste completely dissolves and the sauce thickens, or for about 6 to 8 minutes. Transfer the chicken back into the sauce and mix well. Chicken mole tastes best in warm flour or corn tortillas, served with a side of rice and beans. Feel free to garnish with cilantro and a wedge of lime. Enjoy! This recipe is not gluten free. The adobo paste you link to has *crackers* in it.